Australian pop-punk band Tonight Alive are promoting their recently released second album with a UK tour which includes a show at Birmingham Institute on October 1. The success of the five-piece's debut album,What Are You So Scared Of?, meant they had to write their new record, The Other Side, while on the road. 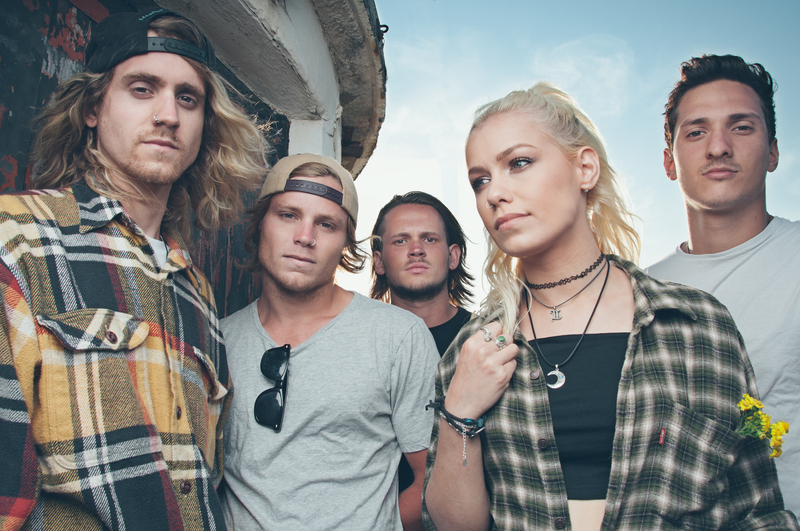 "The first track that we wrote for The Other Side was penned in Jakarta, Indonesia, whilst we were on tour," reveals vocalist Jenna McDougall. "The rest of the album was written on tour too and we'd spent so long on the road that we decided to go back to Australia to record it. To make sure that we weren't in our comfort zone we found a big house out in the bush, five minutes from the beach, and set up our own studio there to record with Dave Petrovic who produced our first EP." 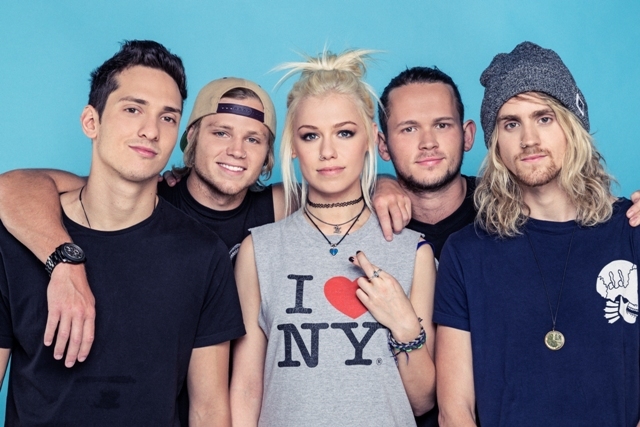 Having toured the world, Tonight Alive had plenty of new experiences to share on The Other Side, adds Jenna. The band formed in the suburbs of Sydney, rehearsing in their parents' garages. Guitarist Jake Hardy and bassist Cam Hadler were in a high school band together where they were joined by keyboardist and guitarist Whakaio Taahi. The trio began writing their own songs and met Jenna, who was performing as a solo acoustic artist, when she asked them to help her record some demos. Seeing an opportunity, the band asked her to record one of their songs, then invited her to join the group as vocalist. That was in 2008 and a year later the current line-up was finalised with the addition of drummer Matty Best. Despite Jenna still being at school, two EPs - All Shapes And Disguises and Consider This - were recorded and released in 2010. 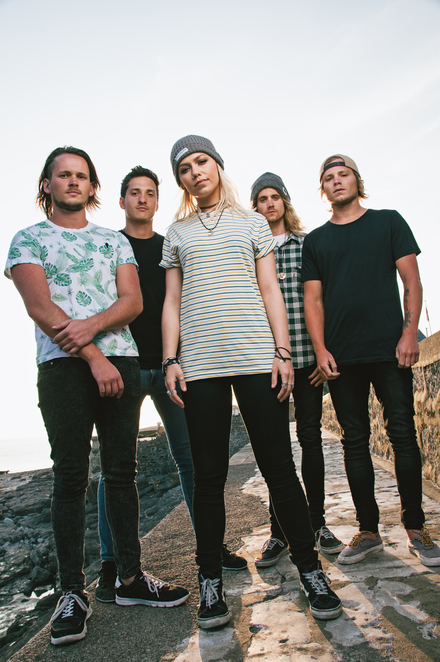 The EPs caused such a buzz that Tonight Alive were chosen to support Lostprophets on their Australian tour. They then relocated to Los Angeles to record What Are You So Scared Of? and tour the States in a van. Several Australian tours followed, exhausting the band who had to take a break before launching the album internationally with tours in Asia, Europe and North America. 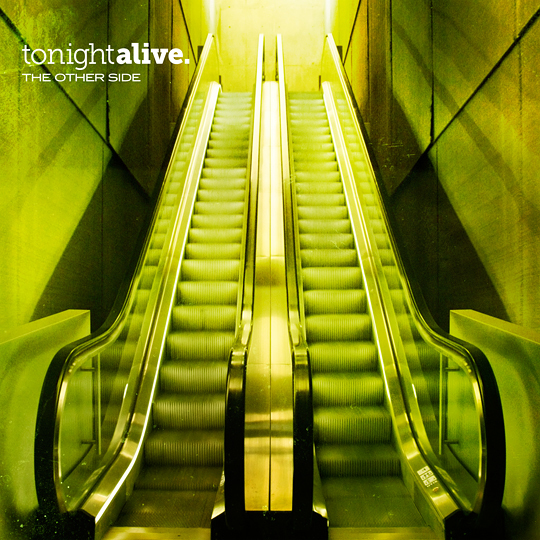 The work is beginning again as Tonight Alive launch The Other Side. Jenna claims success has not affected them.